UC Berkeley Ranking ranking is 11th within the USA and joint 6th in the world by the University Review (NB US and World listings use different criteria). It is ranked as the 20th best national college in the USnews listings. It is ranked as the 37th best college in USA by Forbes. The University of California, Berkeley tuition fees are $12,864 for in-state and $35,742 for out of state students. It is an extremely selective college taking in just 18% of applicants. Financial aid is given to two thirds of all students and full details can be found on their website. Requirements for SATs (25th-75th percentile) are Math 630 – 760, Reading 600 – 730, and writing 610 – 740. The composite SAT scores range from 1160 to 1490. The requirements for ACT (25th-75th percentile) are Composite 27 – 32, English 26 – 33, and Math 27 – 34. The University of California, Berkeley (UCBerkeley) is a public, coeducational university located east of San Francisco in Berkeley, California. 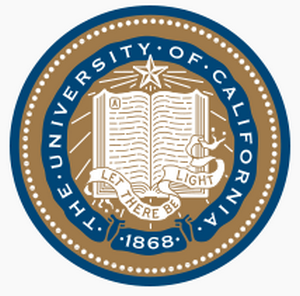 It was founded in 1868 making it the oldest of the University of California system. Berkeley is very strong in research with over 10,000 graduate students. With another 25,000 undergraduate students UC Berkeley, CA is one of the larger high quality universities. It is very strong on sciences, with over seventeen chemical elements being discovered here, as well as pioneering the isolation of the virus responsible for human polio. It is also famous for its human rights movement, and was especially vocal during the Vietnam war. On the more negative side, UC Berkeley hosted the Manhattan project. University of California at Berkeley by Butz. The University of California Berkeley was established in 1868, and first opened it’s doors in 1869 in Oakland, before relocating to Berkeley in 1873. The campus is around twelve hundred acres in size. It has an endowment of around two billion US dollars. Other colleges in California include Stanford University, San Diego State University, UCSC, UCR, University of Southern California, UCI, UCD, USB, UCSF, UCLA, UCSD, and California Institute Technology. As the fourth largest library in the USA, the University of California Berkeley library is considered one of the best in the world. It holds over ten million volumes and covers over twelve acres in size.